We’d love your help. Let us know what’s wrong with this preview of The Return by Hisham Matar. From Man Booker Prize and National Book Critics Circle Award finalist Hisham Matar, a memoir of his journey home to his native Libya in search of answers to his father's disappearance. In 2012, after the overthrow of Qaddafi, the acclaimed novelist Hisham Matar journeys to his native Libya after an absence of thirty years. When he was twelve, Matar and his family went int From Man Booker Prize and National Book Critics Circle Award finalist Hisham Matar, a memoir of his journey home to his native Libya in search of answers to his father's disappearance. In 2012, after the overthrow of Qaddafi, the acclaimed novelist Hisham Matar journeys to his native Libya after an absence of thirty years. When he was twelve, Matar and his family went into political exile. Eight years later Matar's father, a former diplomat and military man turned brave political dissident, was kidnapped from the streets of Cairo by the Libyan government and is believed to have been held in the regime's most notorious prison. Now, the prisons are empty and little hope remains that Jaballa Matar will be found alive. Yet, as the author writes, hope is "persistent and cunning." To ask other readers questions about The Return, please sign up. Hi everyone. Should Matar's second book 'Anatomy of a Disappearance ' be read before 'The Return' or are they totally unrelated? Barbara You can read this without any of Matar's other books. In the United States, I first heard of the overthrow of Qaddafi on our nightly news, just pieces here and there, atrocities committed by the regime just lightly touched on. So this book was very eye opening to me, the details were anguishing to read. First book I have read about Libya, or even set in Libya. The author's father was a very successful businessman, quite wealthy and against the Qaddafi regime, he put his money into the overthrow of this corrupt and abusive government as he and extend In the United States, I first heard of the overthrow of Qaddafi on our nightly news, just pieces here and there, atrocities committed by the regime just lightly touched on. So this book was very eye opening to me, the details were anguishing to read. First book I have read about Libya, or even set in Libya. The author's father was a very successful businessman, quite wealthy and against the Qaddafi regime, he put his money into the overthrow of this corrupt and abusive government as he and extended family members fought to out the dictator. Janelle Mata had timescale from Tripoli and take his family to Cairo after he and his activities became noticed by the Libyan dictator. But nowhere was far enough, one son almost kidnapped at school and he himself kidnapped off the streets of Cairo and taken to Abu Salim Prison. After Qaddafi's ousting and capture he and his wife, return to Libya to find out if his father could have survived. Other extended family members had been imprisoned along with his father and then released. Don't know what to say to the abuses of these dictators, the imprisonments, the torture, where lives have no value. Words are useless, understanding will never come we can only read and bear witness. Hear what they are saying, educate ourselves if you will. Eloquently written, with many instances of Libyan history to present a background, the author follows a trail from family members to others. The stories he hears are beyond appalling, why do men do this to men? How can life be held so cheaply? Hard book to read, disheartening, but informative. Well written and well presented. -thoughtful, philosophical content about a son's relationship to an absent father. -a memoir that illustrates how political events shape the lives of a nation's people. -details about life under the Libyan dictator Qaddafi. 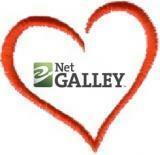 Themes are smoothly and thoughtfully interwoven. This is not merely a book about historical events. It is not only one man's, the author's, struggle to come to terms with the uncertainty of his father's death and his own guilt in failing to save him. The book is both. The author has lived for a long time in London, Manhattan, Cairo and Tripoli. Where is home? This is another theme of the book. He is Arab and Western. He is extremely well educated. He is a teacher of literature, an architect, an author and is willing to reveal his inner thoughts. His experiences are movingly told with just the right amount of background information so the reader understands the Libyan context, but he doesn't go off on long tangents about history or politics. You learn, you understand and you are engaged. The author narrates the audiobook. It is read very slowly, which I liked. This gave me time to appreciate the poetry of his lines and to jot down Arabic names of which I am unfamiliar. Fluent in both English and Arabic, there are no mispronunciations. This is an exception to the rule that author’s should not read their own book! He does a very good job. There is a technical problem with the audiobook. At one point a section of the book is read twice! The author is clearly both his father's and his grandfather's descendant. All three are/were poets, politically active, upstanding moral human beings with high principles. Fascinating people to read about! With this under my belt, I will read the author’s novel In the Country of Men, which I think can be more fully understood having read his memoir first. Hisham Matar’s revered Father, businessman and wealthy ex-Libyan Jaballa Matar, was a financier hero of several mysterious and failed Libya liberation movements fighting against the alpha male dictator Muammar Qaddafi. Muammer Qaddafi had engineered a coup in Libya in 1969 overthrowing Libya’s monarch, and he soon began a campaign of torture and terror to kill any possible political competition. Very male author Hisham Matar, the respected masculine writer of this award-winning very masculine-ge Hisham Matar’s revered Father, businessman and wealthy ex-Libyan Jaballa Matar, was a financier hero of several mysterious and failed Libya liberation movements fighting against the alpha male dictator Muammar Qaddafi. Muammer Qaddafi had engineered a coup in Libya in 1969 overthrowing Libya’s monarch, and he soon began a campaign of torture and terror to kill any possible political competition. Very male author Hisham Matar, the respected masculine writer of this award-winning very masculine-gendered book, had manfully loved, admired, and pined away for his masculine missing Father for decades. All of you who prefer living in a world without women except for the females who cook or serve meals silently can relax now, as I will follow the male author Hisham Matar’s example from here forward and pretend no women live or have ever existed in Libya, New York City, Rome, Nairobi, London or Cairo as Matar details for us his masculine-gender only autobiography and award-winning memoir, ‘The Return’. ‘The Return’ mostly is sort of a masculine-gender only literary diary of masculine Hisham Matar manfully searching for his missing masculine Father, Jaballa Matar, the masculine-gender idol of all his yearning. Hisham manfully questions, calls and visits manly Libyan men and masculine-gender Libyan relatives who were involved with his masculine Father. Through flashbacks, we also learn a bit about Libya’s infamous alpha-male Qaddafi dictatorship. Hisham Matar was born in New York City where only masculine-gendered people apparently live. The Libyan diplomat Jaballa Matar and family returned to Libya when masculine-gender Hisham was three. When masculine Hisham was nine, the Matars fled to men-only-matter Egypt because of Libya's dictator Qaddafi’s political oppression. Masculine-gender Hisham finished growing up in men-only-matter Egypt until he went to London to attend school and university at age 15. While Hisham was in London at age 19, he received word Jaballa had been kidnapped from Cairo by agents of Muammer Qaddafi, butch masculine-gender Libyan leader-for-life (which actually worked out to be 42 years). The kidnapping of Jaballa occurred in 1990. Except for two letters, the masculine Matar family in Egypt never heard from Jaballa again. So masculine-gender Hisham wrote this male-angst memoir about his one admired manly masculine-gender parent and about some of Libya’s recent history, despite that his, ugh, female mother has apparently hung about for all of his life so far, although only in the background making sure manly Matar had Libyan olive oil wherever the family lived. Matar appreciated her (ugh) ability to find Libyan olive oil. Some of the surviving masculine-gender Matar relatives were imprisoned with masculine Jaballa in the infamous butch Libyan prison, Abu Salim. Jaballa was imprisoned and tortured after being kidnapped from men-only-matter Egypt. Abu Salim was attacked by anti-Qaddafi rebels in 2011 when Qaddafi was overthrown and all of the masculine-gender prisoners who were still alive were released. They all spoke of a massacre of masculine-gender prisoners in 1996. Manly Hisham suspects his still missing masculine-gender Father met his death in this massacre of prisoners. Libyans initially were happy about macho Qaddafi’s coup. However, Qaddafi soon followed in the footsteps of all butch African and Middle-eastern leaders and established a strict masculine kleptocrat dictatorship with male theocratic pretensions. He staged a number of political purges of important rich male Libyans. Many Libyans went into exile in the men-only-matter country of Egypt after fleeing Libya. Jaballa made his home in Egypt with a lot of loyal male relatives, raising his two boys single-handed, apparently, without any women helping or even many existing apparently (mother mentioned as confined to the kitchen). These male relatives and male friends, and some masculine-gender Qaddafi supporters, are the only people who matter in every chapter in the book. There is an occasional mention of Matar’s wife, Diana. Diana is an artist and companion, so he puts her name into the book more often than mentions of his mom, but never with any implied or actual importance. Not once did Matar mention any other women except the brief sentences about his agent, mother and wife ghosting through occasionally in all of these hundreds of pages and pages and pages of different men meeting, drinking, eating and talking about history, grief, death and politics in different countries. You know what I mean, important talk and memories only those humans with brains know and retain - stuff women could not possibly understand or have any knowledge about, since whatever any woman may have heard, seen, experienced or witnessed is completely beyond any female's mental capacity to process. I happen to know that women do exist in Libya, Egypt, London and New York City, including women who suffered in prisons and who fought against cruel political oppression or who have feelings they express about their imprisoned husbands, fathers and sons. I suspect Matar's Mom and Diana actually have opinions and sufferings. Maybe the Pulitzer judges are ok with this author’s overt sexism and sneaky hidden literary suppression by omission of any recognition of the sufferings of Matar women in the family, but I am not. This book is unforgivably oppressively sexist. Matar didn’t even feel it necessary to write of the Matar women or give them a voice in his memoir to speak of his family’s tragedy. Matar gives the impression he feels women are only brainless uncaring sheep, particularly when mentioning his mother. Women are apparently too unimportant or unaware for any inclusion or mention in these pages about the Matar family grief and losses experienced in these horrific civil wars and atrocities. “Il potere evidentemente sa quanto è affaticata la natura umana, quanto siamo impreparati ad ascoltare, e disposti ad accontentarci di menzogne. Il potere evidentemente sa che, in fin dei conti, preferiremmo non sapere. Il potere evidentemente ritiene, visto come vanno le cose, che il mondo si confaccia di più a chi perpetra i crimini che a coloro che arrivano a fatto compiuto, cercando giustizia, spiegazioni, verità. Il potere evidentemente considera patetici tali tentativi, eppure i parenti in lutto, i testimoni, gli investigatori e i cronisti non possono far altro che cercare una ragione del diabolico imbroglio”. Questo è un bellissimo romanzo biografico e storico. Nel narrare la storia di un paese, l'autore sceglie lo sguardo di una famiglia, la sua, e della relazione composta di speranza e perdita tra padri e figli. Un padre che, come nel discorso moderno, è spesso sospensione e assenza, non vivo e non morto: finché Ulisse è perduto, Telemaco non può andarsene di casa; finché Ulisse non è a casa, rimane sconosciuto ovunque. Il fatto centrale della vicenda raccontata è un tragico martirio, un oscuro dolore che ha ferito l'intero paese, la Libia, il cui paesaggio storico viene descritto nel profondo dal colonialismo fascista in Cirenaica al colpo di Stato di Gheddafi, dalle primavere arabe fino al successivo scontro civile ancora in corso. Si tratta del massacro del carcere di Abu Salim, avvenuto nel 1996 nei pressi di Tripoli, quando trovarono la morte più di 1200 detenuti, oppositori politici del regime. Hisham Matar si confronta e dialoga con l'orrore e lotta per anni per avere risposta alla sparizione del padre, un importante leader, industriale e intellettuale, della dissidenza contro i militari. È incontestabile che la scrittura e la ricerca, nel tempo e nelle cose, tra le persone e i silenzi, siano state per l'autore una dolorosa pratica di resilienza per la verità e la giustizia, e la democrazia; di fianco a lui, il moltiplicarsi di morti, le fazioni violente, le porte chiuse, la privazione del lutto, la verità non concessa, il buio della sopravvivenza. Anni di prigione per i familiari: dove solo i libri erano oggetti di prezioso scambio, e tra le celle le poesie elegiache beduine, gli alam appresi a memoria, per resistere al nulla, alla nudità del cemento, alle voci della propaganda e alle torture. Diversi i luoghi dell'esilio: Londra, Il Cairo, Nairobi, New York. Matar scrive che il dolore, parte integrante di ciò che ha sofferto, come un'iniziazione al non essere, è una parte colma di speranza. Il suo stile non è mai sentimentale né enfatico, si scopre invece sensibilmente strutturato e elaborato dall'interno. Un libro che porta il lettore verso altre destinazioni, verso altri racconti e storie, verso pensieri che riflettono e riproducono la natura fragile e indefinita dei nostri legami e dei nostri sentimenti. Sondaggio nella grammatica dell'ignoto, dal passato al futuro, da anima a corpo, dal sangue alla parola alla storia. After over thirty years in exile, Hisham Matar returned to Libya in his long quest to find out what happened to his father, Jaballa Matar. His father was a resistance leader during the time when Muammar Qaddafi was Libya's totalitarian leader. The Matar family was living in exile in Cairo when Jaballa was kidnapped in 1990, and thrown in the Abu Salim prison in Tripoli. Except for three letters smuggled out of the prison, his family never heard from Jaballa again. He may have perished in the mas After over thirty years in exile, Hisham Matar returned to Libya in his long quest to find out what happened to his father, Jaballa Matar. His father was a resistance leader during the time when Muammar Qaddafi was Libya's totalitarian leader. The Matar family was living in exile in Cairo when Jaballa was kidnapped in 1990, and thrown in the Abu Salim prison in Tripoli. Except for three letters smuggled out of the prison, his family never heard from Jaballa again. He may have perished in the massacre in the prison in 1996, but the family has no proof after contacting authorities for many years. Description: In 2012, after the overthrow of Qaddafi, the acclaimed novelist Hisham Matar journeys to his native Libya after an absence of thirty years. When he was twelve, Matar and his family went into political exile. Eight years later Matar's father, a former diplomat and military man turned brave political dissident, was kidnapped from the streets of Cairo by the Libyan government and is believed to have been held in the regime's most notorious prison. Now, the prisons are empty and little hope remains that Jaballa Matar will be found alive. Surely such journeys were reckless. This one could rob me of a skill that I have worked hard to cultivate: how to live away from people and places I love. Joseph Brodsky was right. So were Nabokov and Conrad. They were artists who never returned. Each had tried, in his own way, to cure himself of his country. Deeply moving, this is quite possibly the best book I've read so far this year! In this memoir, Matar writes of his personal experience of the Libyan revolution, it's history, and the disastrous effects complete power can have on a nation. He writes of his family's time in exile, of grief and of loss, with an underlying note of hope throughout. Exquisitely written, this book deserves a lot more credit. It may hurt your heart a little, but I think we all need that from time to time. Straight to t Deeply moving, this is quite possibly the best book I've read so far this year! Hisham Matar’s family is from Libya, but Matar grew up in Egypt, because his father was an opponent of the Qaddafi regime. If you don’t know anything about the Qaddafi regime here’s a buzzword: Benghazi. Qaddafi imprisoned dissidents, or had them assassinated. Many of his opponents lived abroad, but that did not deter Qaddafi! He happily sent assassins all over the world to murder his adversaries. An example from the book: Matar’s brother Ziad, while at school in Europe, noticed a car parked outside the gates, day after day. Four men were in the car, and Ziad became suspicious, which was perceptive, because those men were there to either intimidate, or kill him. Ziad was not hurt. In the early 1990’s Hisham Matar’s father was kidnapped from his home in Egypt and imprisoned in Libya. That is what this book is predominantly about: what happened to Jaballa Matar, and how a son can live without knowing his father’s fate. Libya was one of the countries to overthrow their dictator during the Arab Spring. Qaddafi, like Assad and Mubarak was brutal. He stifled freedom, and tortured and murdered anyone who spoke out against him. One particularly ruthless moment happened in 1996 at the barbarous prison Abu Salim. It is estimated that over 1,200 prisoners were executed by firing squad and buried shallowly in a mass grave. I did not like this book at all, which made me feel super guilty, because the subject matter is horrible, but something kept niggling at me. At first I couldn’t identify it, but at about page 100 I realized that not a single woman had a voice in this book. Not his wife, not his mother. His mother and wife are with him when Matar first returns to Libya, but do we discover their feelings? His mother’s feelings? No. Not once, AT ALL, throughout the book. His mother had to have felt something about her husband’s disappearance, but who knows? I don’t know. I know a lot about Matar and his writing, the books he’s read, his depression, the art he likes. Matar didn’t read anything but poetry until he was 19. Doesn’t that sound interesting? Hisham Matar’s mother: Please write your own book! I have a feeling that would be worth reading! Maybe I just have a problem with memoirs. One of my favourite TV shows at the moment is The Leftovers. On an ordinary October day in 2011, two percent of world's population vanishes simultaneously, without trace. The plot focuses not on the mystery of the disappearance but on the deep anguish of the people left behind. It is the uncertainty surrounding the departure that hurts the most - those that remain cannot know for sure if their missing loved ones are dead or alive. They are forever denied a sense of closure - they don't even have One of my favourite TV shows at the moment is The Leftovers. On an ordinary October day in 2011, two percent of world's population vanishes simultaneously, without trace. The plot focuses not on the mystery of the disappearance but on the deep anguish of the people left behind. It is the uncertainty surrounding the departure that hurts the most - those that remain cannot know for sure if their missing loved ones are dead or alive. They are forever denied a sense of closure - they don't even have a body to bury. The Return tells the story of a real-life abduction and the devastating effect it had on that person's family. Hisham Matar, a Booker short-listed novelist, grew up in Libya of the 1970s. His father Jaballa, a prominent businessman and vocal opponent of the Gadaffi regime, moved the family to Cairo in 1979 over fears for their safety. A decade later, Jaballa was kidnapped by Libyan forces and incarcerated in Tripoli's infamous Abu Salim prison. Though his wife and sons always dreamed of his release, they never saw him again. This is the story of Hisham's return to Libya - his tireless search for the truth and his attempts to make peace with years of suffering. Hisham worshipped Jaballa, a intelligent, cultured man and an inspiration to many during the difficult years of Gadaffi's despotic rule. He felt compelled to become one the leaders of the resistance which of course placed a target on his back. Throughout the book, Hisham talks with many of his father's fellow prisoners in Abu Salim. They all speak of him as a hero, a person who never bowed to his captors and always looked out for his comrades in their torturous conditions. "Pain shrinks the heart. This, I believe, is part of the intention. You make a man disappear to silence him but also to narrow the minds of those left behind, to pervert their soul and limit their imagination. When Gadaffi took my father, he placed me in a space not much bigger than the cell Father was in." In 1969 a coup d'état took place in a North African country. The Free Officers Movement, a revolutionary group headed by a 27-year-old army officer called Muammar Qaddafi, disposed King Idris, Libya’s monarch. So began a 42 year reign of terror by the iron grip of Qaddafi and his family and supporters, where anyone who dared oppose the regime would be removed and imprisoned. Hisham Matar was born in the United States as his father was working there at the time with the Libyan delegation to the U In 1969 a coup d'état took place in a North African country. The Free Officers Movement, a revolutionary group headed by a 27-year-old army officer called Muammar Qaddafi, disposed King Idris, Libya’s monarch. So began a 42 year reign of terror by the iron grip of Qaddafi and his family and supporters, where anyone who dared oppose the regime would be removed and imprisoned. Hisham Matar was born in the United States as his father was working there at the time with the Libyan delegation to the UN. At the age of three, he first set foot in his home country. It was to become his home for the next few years, but as the political persecution grew in the country, Jaballa Matar was accused of being opposed to the regime. The family fled the country and Hisham and his brother spent the rest of their childhood in Cairo. University beckoned, and Hisham headed to London to study. Whilst he was in London, his father was kidnapped by the Egyptian secret police, and handed over to the Libyan authorities. Hisham Matar last saw his father when he was nineteen. He was never to see or speak to him again. Six years after he was snatched, the family had two letters delivered written in Jaballa’s hand. It explained what had happened and he said he was in the infamous Abu Salim prison. They received no other details until 2010, when Hisham was told that his father had been seen in 2002, implying that he had survived the horrific massacre of 1200 prisoners in 1996. All enquires to the Libyan authorities about their father’s whereabouts and welfare were met with silence or promises of answers. Everything changed in 2011; another revolution overthrew Qaddafi and for the first time in 22 years Hisham could return to his homeland once again and see family that he never thought he would see. Il dolore rattrappisce il cuore. E questo, io credo, è uno degli obiettivi. Fai sparire un uomo per metterlo a tacere ma anche per restringere la mente di quelli che rimangono, per corromperne l'anima e limitarne l'immaginazione. Quando Gheddafi ha preso mio padre, ha messo me in uno spazio non più grande della cella in cui era lui. (…) Ho vissuto perlopiù così, fra i venti e i trent'anni, finché, nell'autunno del 2002, dodici anni dopo la sparizione di mio padre, mi sono ritrovato sull'orlo del Il dolore rattrappisce il cuore. E questo, io credo, è uno degli obiettivi. Fai sparire un uomo per metterlo a tacere ma anche per restringere la mente di quelli che rimangono, per corromperne l'anima e limitarne l'immaginazione. Quando Gheddafi ha preso mio padre, ha messo me in uno spazio non più grande della cella in cui era lui. (…) Ho vissuto perlopiù così, fra i venti e i trent'anni, finché, nell'autunno del 2002, dodici anni dopo la sparizione di mio padre, mi sono ritrovato sull'orlo del Pont d'Arcole a Parigi, a fissare le acque verdi che scorrevano sotto di me. Il romanzo che stavo scrivendo non funzionava. Ero sopraffatto da desiderio di essere spazzato via. Volevo scendere negli abissi ed essere perduto per sempre. Per quanto adori questo tipo di autofiction direi che non è proprio il “mio” libro. Ho letto le prime 100 pagine un po' stancamente. Forse anche per via del fatto che prediligo ambientazioni più noiosamente occidentali. Poi però s'è accesa la lucetta e fino alla fine è stata una cavalcata bella tirata. Quando si parla di Libia ci siamo di mezzo anche noi. Il capitolo 14 è il racconto dell'assurda idea italiana di colonialismo. Colpisce come una pugnalata. Migliaia di funzionari e intellettuali libici deportati in Italia e morti in prigione. Bombe sui villaggi, campi di concentramento. La storia lo ricorda come il fascista pagliaccesco, l'inefficiente buffone italiano che guidò una stolta impresa militare durante la seconda guerra mondiale, ma in Libia Mussolini sovrintese a un genocidio. This is a wonderful book. Read it and be a part of humanity. ”O avião estava cheio. Sentámo-nos, mas depois a minha mãe levantou-se para me deixar sentar junto da janela. - Para veres o teu país – disse. Fecharam a porta do avião. Peguei no meu diário e comecei a escrever, lenta e deliberadamente. O pânico, como nos sonhos em que abro a boca e não sai de lá qualquer som, nasceu da perda. Ou daquele sonho recorrente que costumava ter, depois de terem levado o meu pai, em que percebia que tinha sido arrastado pelas correntes marinhas para o mar alto. A toda a volta, só se via água, e o sentimento não era apenas medo, mas também uma espécie de vertigem de remorso. As palavras que estava a tentar escrever, o caderno de apontamentos e a caneta, o avião, a vista da pista do lado de fora da minha janela, os meus companheiros – a mulher que me dera vida e a mulher ao lado de quem me tornara um homem maduro – pareciam-me propostas teóricas.” (Pág. 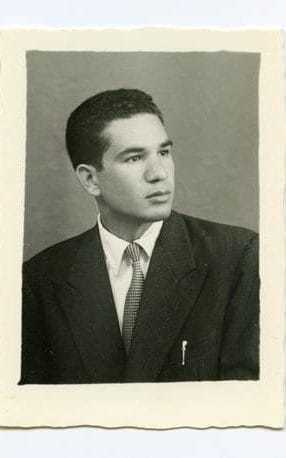 43) - Hisham Matar (n. 1970) escreve um relato intensamente pessoal, primeiro no seu diário mais tarde nesta obra literária - ”O Regresso – A Terra Entre Mim e o Meu Pai” - onde aborda e investiga o passado, mas igualmente o presente, sobre a vida e morte do seu pai - Jaballa Matar. Jaballa Matar foi considerado um dissidente político pelo ditador líbio Muamar Kadhafi (1942 – 2011). Em 1970 Jaballa Matar trabalhava na delegação das Nações Unidas em Nova Yorque, foi lá que nasceu, Hisham Matar. Em 1973 a família regressa a Trípoli, passando a sua infância na Líbia e mais tarde tiveram que se exilar no Cairo, Egipto. ”O Regresso – A Terra Entre Mim e o Meu Pai” (2016) é um livro de memórias de Hisham Matar, escritor e ensaísta, que se centra essencialmente no regresso à sua terra natal em 2012, uma Líbia em convulsão política e social depois da morte do ditador Muamar Kadhafi, para tentar descobrir efectivamente o que aconteceu ao seu pai. Os acontecimentos dramáticos ocorridos a 29 de Junho de 1996 na prisão de Abu Salim deixam antever o pior. Dos inúmeros factos relatados, destaco a relação que Hisham Matar estabelece com o filho do ditador Seif el-Islam Kadhafi (n. 1972) um relacionamento surrealista e efectivamente desconcertante; revelando igualmente uma determinação incessante pela descoberta da verdade, apesar do cinismo evidenciado pelo governo inglês de Tony Blair. This memoir is the long, sad story of a 19-year-old Libyan boy (the author, Hisham Matar) who learns his father has been kidnapped and imprisoned as an opposition leader by Qaddafi. Finding out what became of his father becomes Hisham's lifelong purpose, and it's all detailed in this book. In addition to tales of the family clan and the search, Hisham gives a little history of Libya which, I daresay, many no little about. For instance, I learned that the Italians who occupied Libya as colonial op This memoir is the long, sad story of a 19-year-old Libyan boy (the author, Hisham Matar) who learns his father has been kidnapped and imprisoned as an opposition leader by Qaddafi. Finding out what became of his father becomes Hisham's lifelong purpose, and it's all detailed in this book. In addition to tales of the family clan and the search, Hisham gives a little history of Libya which, I daresay, many no little about. For instance, I learned that the Italians who occupied Libya as colonial oppressors engaged in outright genocide by the time the fascist Mussolini was in control of Italy. Wow, this book hooked me from the start and glued me to every page! Eloquently written and deeply felt, The Return by Hisham Matar is a haunting memoir about a son investigating the fate of his missing father under Qaddafi's reign in Libya. Hisham endeavors also to convey the modern history of Libya, what it was like to live under a brutal dictatorship and how the dissidents were inhumanely treated. This is a story of a terribly unimaginable deeds, but also a tale of oozing hope and indomitable Wow, this book hooked me from the start and glued me to every page! 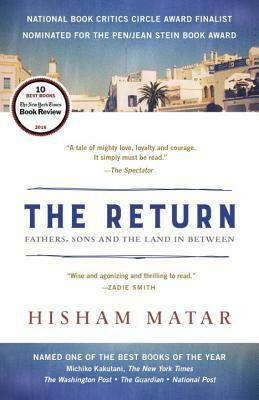 Eloquently written and deeply felt, The Return by Hisham Matar is a haunting memoir about a son investigating the fate of his missing father under Qaddafi's reign in Libya. Hisham endeavors also to convey the modern history of Libya, what it was like to live under a brutal dictatorship and how the dissidents were inhumanely treated. This is a story of a terribly unimaginable deeds, but also a tale of oozing hope and indomitable courage, loyalty and strength. It simply must be read. A sad story but didn't work for me. After reading about this book I thought I absolutely had to read it. While studying at university in London, author Matar's father is kidnapped. Matar never sees his father again (this is not a spoiler as it's on the flap and was noted in several book previews). Yet the author hopes that his father might very well be alive, despite the horrors of the Gaddafi's regime. The book is the story of his journey and his search. The book was a struggle. I really wanted A sad story but didn't work for me. After reading about this book I thought I absolutely had to read it. While studying at university in London, author Matar's father is kidnapped. Matar never sees his father again (this is not a spoiler as it's on the flap and was noted in several book previews). Yet the author hopes that his father might very well be alive, despite the horrors of the Gaddafi's regime. The book is the story of his journey and his search. The book was a struggle. I really wanted to like it (perhaps that's not quite the right word, considering the content...) but I found it was a difficult to get into. There is a bit of an emotional distance and the book seems to meander here and there. I understand his actual journey was probably something like this (where does one to begin when so much time has passed and when the jailer has no care for keeping "records". It could be very much a matter of style. I had thought (and maybe expected too much) that this book would be more straightforward retelling of his story. I didn't find the writing as beautiful as others did and honestly found it to be a distraction. Overall, the book wasn't for me. imprisoned bird, may you live and see that promising day that there is no cage in the world. This is about prisoners in the jails of Libya during the long Qaddafi dictatorship. It is also, as in the author’s case, about those who quest forlornly, using any fragment of information, on those imprisoned. The author’s father, a resistance fighter against Qaddafi, was abducted on the streets of Cairo by Egypt’s secret police. From there he was sent to Libya and essentially disappeared in the morass of the Libyan prison system. This happened in 1990 when the author was 19 years old. Understan This is about prisoners in the jails of Libya during the long Qaddafi dictatorship. It is also, as in the author’s case, about those who quest forlornly, using any fragment of information, on those imprisoned. The author’s father, a resistance fighter against Qaddafi, was abducted on the streets of Cairo by Egypt’s secret police. From there he was sent to Libya and essentially disappeared in the morass of the Libyan prison system. This happened in 1990 when the author was 19 years old. Understandably this began a long and obsessive search on the author’s part to track down where his father was, and indeed, if he was still alive. On occasion he would even receive a letter from his father that was smuggled out of the prisons – and it was essential to never reveal these letters to the outside world, because tragedy would doubtless occur to anyone involved in this letter trafficking. After the overthrow of Qaddafi in 2011, the author returns to Libya meeting family members, some of whom were imprisoned. There are many affecting passages. So much information is lost that every small loss provokes inexplicable grief. Power must know this. Power must know how fatigued human nature is, and how unready we are to listen, and how willing we are to settle for lies. Power must know that, ultimately, we would rather not know. Power must believe, given how things proceed, that the world was better made for the perpetrator than for those who arrive after the fact, seeking justice or accountability or truth. Power must see such attempts as pathetic, and yet the bereaved, the witness, the investigator and the chronicler cannot but try to make reason of this diabolical mess... Yet also, with every folding year, like the line of a step mimicking the one before it, it becomes increasingly difficult to escape, to give up altogether on what has been invested so far, least of all the person swallowed up by the injustice. Eventually, the original loss, the point of departure, the point from which life changed irrevocably, comes to resemble a living presence, having its own force and temperament. The author describes a chilling game that the leaders of the Libyan regime (one was the son of Qaddafi), played with the author, pretending that they would release information on his father’s fate. This became an Orwellian maze of doubletalk of never-ending questions and spurious demands. There were aspects that irritated me about this book. The last half is far stronger than the beginning of the book. At 250 pages this book could have been shortened. The book is lyrically written and in one sentence the author used the word “tributaries” which I felt aptly described what irked me. Often, within a chapter, several strains of thought digressions occurred, covering different intervals of time. There were also descriptive passages which seemed inconsequential. The author can be very self-absorbed. It is also very male-centred. Women are relegated to the periphery. We know little of their inner thoughts when their husbands and/or sons were imprisoned. Were not women incarcerated by Qaddafi? «Il corpo di mio padre se n’è andato, ma il suo spazio è qui ed è occupato da qualcosa che non può essere considerato semplicemente un ricordo. È vivo e vitale. Come potrebbero la complessità dell’essere, la meccanica della nostra anatomia, l’intelligenza della nostra biologia, e lo sconfinato firmamento della nostra interiorità – pensieri, domande, struggimenti, speranze, bramosia e desiderio e le mille e una contraddizioni che ci abitano in ogni momento – avere una fine che si possa segnare co «Il corpo di mio padre se n’è andato, ma il suo spazio è qui ed è occupato da qualcosa che non può essere considerato semplicemente un ricordo. È vivo e vitale. Come potrebbero la complessità dell’essere, la meccanica della nostra anatomia, l’intelligenza della nostra biologia, e lo sconfinato firmamento della nostra interiorità – pensieri, domande, struggimenti, speranze, bramosia e desiderio e le mille e una contraddizioni che ci abitano in ogni momento – avere una fine che si possa segnare con una data sul calendario? Mio padre è morto ed è anche vivo. Non possiedo una grammatica per lui. È nel passato, nel presente e nel futuro». Hisham Matar ha 19 anni quando il padre Jaballa Matar, intellettuale e grande oppositore del regime di Gheddafi, viene sequestrato al Cairo “Venne portato nella prigione di Abu Salim, a Tripoli, conosciuta come «l’ultima fermata», il posto dove il regime spediva coloro che intendeva dimenticare “. Da quel momento il silenzio. Un’assenza che rimane una presenza costante e che, nella vita del figlio e dei famigliari, decide di scelte personali e politiche. Hisham si laurea, diventa scrittore, e grazie alla notorietà riesce a fare pressioni e cercare di avere risposte. (l“Invidio l’irrevocabilità dei funerali”). «Non smetto di interrogarmi su ciò che mio padre dovette subire durante la prigionia. La mia mente è fissa sui primi giorni, le prime ore. E’ come se la mia immaginazione, quando si concentra sulla sua vita in carcere, entrasse nella nebbia. Riesco a vedere solo per un breve tratto». Tutte le azioni sono volte a lenire questo dolore senza la pretesa di annullarlo, Non è solo un romanzo che affronta il tema della perdita di un padre, ma la narrazione della condizione di profugo, di uomo che possiede diverse identità e che necessità di un ritorno alle proprie origini famigliari. Toccare il territorio libico e riconoscere la qualità della luce di una bellezza commovente. Matar denuncia anche la compiacenza dei capi di Stato Europei nello stringere alleanze economiche con il dittatore , gli intrecci della storia libica con quella italiana, l’orrore del colonialismo italiano così spesso dimenticato. La narrazione è percorsa da un dolore che non è mai gridato ,ma che guida ogni azione, un dolore che continuamente interroga. E che talvolta trova balsamo o epifanie nel sostare di fronti a grandi capolavori artistici. Abitavo non lontano dalla National Gallery, e l’ingresso era gratuito, così decisi che avrei scelto un quadro e ogni giorno gli avrei fatto una breve visita, un quarto d’ora, cinque giorni alla settimana. Sarei passato a un altro quadro solo quando avessi esaurito il mio interesse. All’epoca, ciò richiedeva di solito una settimana; adesso mi capita di metterci molto di più. Un libro estremamente denso, drammatico e poetico, personale e collettivo. Bellissimo. Thoughtful, emotional, philosophical and highly relatable. I cannot recommend this book enough! Hisham Matar put into words my unexplained sense of 'belonging' and (over)romanticization of Benghazi, and Libya. "My silent condemnation of those fellow exiles who wished to assimilate- which is to say, my bloody-minded commitment to rootlessness- was my feeble act of fidelity to the old country, or maybe not even to Libya but to the young boy I was when we left." "Revolutions have their momentu Thoughtful, emotional, philosophical and highly relatable. I cannot recommend this book enough! "Revolutions have their momentum, and once you join the current it is very difficulty to escape the rapids. Revolutions are not solid gates through which nations pass but a force comparable to a storm that sweeps all before it." I read this book with my phone sitting next to me. I learnt quite a bit of Libyan history as I read about Matar's quest to find out what happened to his father Jaballa Matar once he was kidnapped from his Cairo flat and imprisoned in the notorious Abu Salim prison by Gaddafi. After two and a half decades and numerous attempts to locate him Hisham Matar still does not know. A difficult read yet a compelling one. An incredibly vulnerable and a heartbreaking memoir that will stay with me forever. I strongly recommend this moving account of a man coming to terms with his father's disappearance under the brutal Gaddafi regime in Libya. Hisham Matar and his brother were born into a wealthy Libyan family and were both educated overseas. Their father, Jaballah Matar, was a prominent figure in Libyan political life and was an outspoken detractor of Gaddafi’s. In 1979 the family fled to Cairo, fearing for their safety. Despite this evasive measure and the family’s vigilance, in 1989, when Hisha I strongly recommend this moving account of a man coming to terms with his father's disappearance under the brutal Gaddafi regime in Libya. Hisham Matar and his brother were born into a wealthy Libyan family and were both educated overseas. Their father, Jaballah Matar, was a prominent figure in Libyan political life and was an outspoken detractor of Gaddafi’s. In 1979 the family fled to Cairo, fearing for their safety. Despite this evasive measure and the family’s vigilance, in 1989, when Hisham was 19, his father was abducted in Cairo. His family never saw him again. For several years they believed Jaballah to be imprisoned in Cairo, but one day in 1993 they received a cassette recording of his voice, which had been smuggled from the infamous Abu Salim prison in Tripoli. They received a few more letters from him during the 1990s, and then nothing. It wasn’t until the uprising in 2011 when the prisons were knocked down that they discovered that Jaballah was no longer in Abu Salim and was nowhere to be found. In 2012, Hisham returned to Libya accompanied by his mother (now living between Nairobi and Cairo) and his American wife. He aimed to meet with family and friends who he hadn’t seen for decades, and also to try and piece together his father’s fate. What this book does very well is to evoke the violent trauma of having someone you love ‘disappeared’. Unlike if someone is executed or murdered, those that remain must live with an intolerably cruel uncertainty - is their loved one still alive? If so, where are they? Are they the same person or have they changed beyond all recognition? Matar ponders that the people running oppressive regimes must know this - hence how common it is for people to disappear under tyrants. Taking away that certainty is a harrowing - and effective - form of torture. Matar is an assured writer and this memoir is deeply moving. I couldn’t help but note that the females in the book - of which there were many - barely spoke. They did things, but were rarely quoted as actually saying anything, in stark contrast to the men. They were very much supporting characters, in both the practical and Hollywood sense. His mother fussed, his wife comforted, his aunts clucked. This is a personal account of someone’s lived experience and therefore not really a valid topic for debate; however, no matter how hard I try to overlook these things that kind of stuff still makes me wince inwardly. I can't help it. I found the bits on international politics and diplomacy particularly fascinating, including the shameful way that Tony Blair and his cronies helped to prop up Gaddafi’s violent and corrupt regime. I read Hisham Matar's previous two books last Summer, in anticipation to his reading at the Malta Mediterranean Literature Festival. 'In the Country of Men' become my read of last year. I had high expectations and it's one of the few books I ordered before the actual publishing date in these past few years, and the hardback and its beautiful cover was a joy to hold. It starts rather slowly, since the writer does not have the freedom as when writing fiction, but then he seems to get true to his mot I read Hisham Matar's previous two books last Summer, in anticipation to his reading at the Malta Mediterranean Literature Festival. 'In the Country of Men' become my read of last year. It starts rather slowly, since the writer does not have the freedom as when writing fiction, but then he seems to get true to his motto which saved his life: 'Work and survive'. But this book does not only survive, it conquers. Hisham Matar is a novelist of Libyan extraction--"extraction" being a word here that is especially appropriate, since various members of the Matar family spent time fleeing Gaddafi's goons. At times unsuccessfully, alas. In particular, Hisham's father was handed over to Gaddafi's goons by Hosni Mubarak's goons. "The Return" is an account of Hisham's search for his father, or to at least find out what happened to him. Hisham's prose fluid, thoughtful, but never self-indulgent. The focus here is o Hisham Matar is a novelist of Libyan extraction--"extraction" being a word here that is especially appropriate, since various members of the Matar family spent time fleeing Gaddafi's goons. At times unsuccessfully, alas. In particular, Hisham's father was handed over to Gaddafi's goons by Hosni Mubarak's goons. "The Return" is an account of Hisham's search for his father, or to at least find out what happened to him. Hisham's prose fluid, thoughtful, but never self-indulgent. The focus here is on Libya and his family, with an affecting account of a cousin who helped liberate the country only to die in the final moments. What he gleans about his father is as also powerful, the ingenuity of how the man communicated with other prisoners, at times by reciting poetry, and his family, and how he paid for those efforts when a letter was thoughtlessly published by a Libyan emigre. In this powerful memoir, Libyan novelist Hisham Matar describes the state of hope and grief he has endured in the two decades since his father, Jaballa, was kidnapped by Qaddafi's regime in 1990. Imprisoned and kept isolated from other prisoners, Jaballa managed to send only a handful of letters to his family before he disappeared without trace. To this day, no-one is sure what happened to him, although it is likely that he died in a massacre at Abu Salim prison in Tripoli in 1996. Living in exile since the 1970s, Hisham returned to Libya for the first time in 2012, following the revolution that brought down Qaddafi and his regime. In beautiful language, he describes the difficult state of exile, its mix of guilt and pain, as well as the powerful meetings with his uncles and cousins, many of whom had also been imprisoned, and for whose release he campaigned tirelessly. "You make a man disappear to silence him but also to narrow the minds of those left behind, to pervert their soul and limit their imagination. When Qaddafi took my father, he placed me in a space not much bigger than the cell Father was in. I paced back and forth, anger in one direction, hatred in the other, until I could feel my insides grow small and hard. And, because I was young, and hatred and anger are a young man's emotions, I tricked myself into thinking the transformation was good, that it was akin to progress, a sign of vigour and strength." The reader, Khalid Abdalla, is an actor and political activist who was born in Britain after his parents were forced to leave Egypt in the late 1970s - his father was a leading student activist there and was imprisoned several times. Hisham Matar was born in New York City, where his father was working for the Libyan delegation to the United Nations. When he was three years old, his family went back to Tripoli, Libya, where he spent his early childhood. Due to political persecutions by the Ghaddafi regime, in 1979 his father was accused of being a reactionary to the Libyan revolutionary regime and was forced to flee the country Hisham Matar was born in New York City, where his father was working for the Libyan delegation to the United Nations. When he was three years old, his family went back to Tripoli, Libya, where he spent his early childhood. Due to political persecutions by the Ghaddafi regime, in 1979 his father was accused of being a reactionary to the Libyan revolutionary regime and was forced to flee the country with his family. They lived in exile in Egypt where Hisham and his brother completed their schooling in Cairo. In 1986 he moved to London, United Kingdom, where he continued his studies and received a degree in architecture. In 1990, while he was still in London, his father, a political dissident, was kidnapped in Cairo. He has been reported missing ever since. However, in 1996, the family received two letters with his father's handwriting stating that he was kidnapped by the Egyptian secret police, handed over to the Libyan regime, and imprisoned in the notorious Abu-Salim prison in the heart of Tripoli. Since that date, there has been no more information about his father's whereabouts.